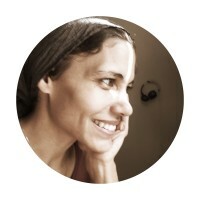 Bobbie has seven years of publishing, writing, editing, and graphic design experience. She is a freelance artist sharpened by critiques, workshops, and intensives taught by art directors, authors, and illustrators working for major publishing houses. She continues to stay informed about topics in the book and magazine publishing industry. She applauds racial inclusivity of her people (i.e., biracial, multiracial, and African-American) in Christian books and supports social justice. She is also a master of doctrinal editing and exposition. Are you an aspiring illustrator for Christian children's books? Do you need an image, portfolio, or book dummy critique? I can give you art tips to help you succeed. Book now. Are you ready to invest in a professional illustration project for your self-published Christian picture book? Let's talk about it. Do you need your Christian picture book manuscript edited? Or perhaps your middle grade novelette needs attention? Book a service today. After booking a session with me, I will request the document(s) or the link to your portfolio and review it with you on the day of our appointment. Pricing is listed on the booking schedule from $60.00. I critique images, portfolios, and manuscripts for Christian artists who aspire to write or illustrate children's books. Image Critique: I examine the client's art piece noting detailed positive and negative points. At the session, I share these details to help him/her to improve. I critique book dummies for picture books containing words and illustrations. I give the writer/illustrator tips to improve the flow of the words, illustrations, and address audience, concepts, trends, and movements. Online Portfolio Critique: I examine the client's online portfolio and take notes. Upon meeting with the client, I will ask a few questions and then, offer tips to improve it. Hand-held Portfolio Critique: I also critique hand-held portfolios in person, but not through this website. Manuscript critiques help writers to solve narrative issues that acquiring editors spot instantly. I critique chapter books to middle-grade novellas for Christian writers. I analyze character, plot, scene, theme, and dialogue. Upon booking, I request book and chapter synopses from the writer. I may ask additional questions for clarity. A manuscript critique will help the writer to understand weaknesses in the story. The client will receive an overview of my critique plus industry tips. Picture Books to Middle-Grade Novels: Get beta readings of your book before you launch through private, honest feedback from readers sharing their opinions about first impressions, expectations, and enjoyment about what they liked or did not like. This is not an editing critique, but rather a popularity critique, which may include comments pertaining to editing and narrative elements that you might find in an Amazon or Goodreads review. This service provides a pre-review of your book in PDF form from Christians who like to read, purchase, and/or analyze books for boys and girls. Currently, three private reviewers are available. For best results, upload an ebook that will showcase the book in its best light. Results within 30 days or agreed upon timeline. Developmental Editing examines the foundation of a story and strengthens it at the paragraph level. It is like a manuscript critique but dives deeper into hands-on paragraph restructuring. I help with pacing, character consistency, character building, plot points and holes, symbolism, and enhancing scenes. I focus on the writer's communication and the language used to create an atmosphere for the reader. I examine voice, style, tone, and mood. I bring focus to the sentence structure and dialogue. I cut or add words or phrases for clarification, and I rearrange passages if needed. Copyediting is an in-depth, word-level edit. It focuses on spelling, grammar, punctuation, word usage, plagiarism, and content accuracy. I only do light copyediting included in a comprehensive edit. Proofreading is the final editing process. It is a precise, fine-tooth edit that fixes typos, capitalization, spacing, font consistency, layout issues, and overall punctuation accuracy. I do not do proofreading. As a writer publishing biblical doctrine for almost a decade, I enjoy clarifying the scriptures in context. If a client is trying to teach a biblical concept, whether directly or indirectly, I immediately spot and define areas where they could improve the message or alter the message for doctrinal accuracy. From chapter books to middle grade novellas (7.5K to 40K words), I combine Doctrinal, Developmental, Line Editing, and light Copyediting as a comprehensive editing package. Yes, picture books need editing love too. I offer a Comprehensive Edit examining audience, concepts, structure, and applying light copyediting as well as enhancing moments through words or illustrations. Getting your picture book professionally illustrated is an investment that will help it to sell. The professional illustrator works diligently for several months on a client project to produce attractive results. Don't forget, the illustrator's name is on the cover too! Upon acceptance, the client signs my illustration agreement and I will begin the project as soon as the client pays the next installment within 7 days of billing, which includes the price for half of the project. (e.g., A 32-page book at $250 per page = $8000. So, half would be $4000. Front and back cover or decorative end pages are an additional charge). This is an average pricing structure for a self-publishing picture book project. Writers requesting complex illustrations requiring significant details will increase the time and page fee of the project. I will then create a project brief, which includes a rough book dummy for client approval to proceed with the final vision. The client will receive one illustrated page of the book in two formats (HIGH-RES and LOW-RES) at this point. After I have finished the first half of the illustrations, we will again meet for a mid-review of the book. Finally, the client pays the last installment for me to complete the project. This entire process usually takes about four to six months; longer for more complex illustrations. After the project is completed, I will ask for a written review of the client's experience. I also recommend that clients beware of scam "artists" who claim to sell illustration services for shockingly low prices. They often deliver cheap-looking results. Those illustrations are unprofessional, will reduce the quality of the client's book, and harm the client's chances of ever winning an award. Keep in mind that if I illustrate a traditionally-published book, I would also earn royalties from the sales for the life of the book. This is not the case for self-published books. Therefore, I request in the contract that the client allow me to sell the book as well. I look forward to working with you to help you produce a beautiful picture book that you and I will be proud to share with libraries and schools. Download the Illustration Manual below. If a service is unlisted on the booking schedule, it means I do not have time for it within the next 3 months. Discover five tips for drawing in black and white. Do you struggle to keep your art room organized? These five tips will help you to stay tidy. Download the Illustration Process Manual that contains my illustration service details. Illustration examples are included. Manuscript critique and editing duration times are not $200 per 30 minutes. They are flat-rate, not per hour. I cannot hide the duration time or set it to “per project.” Sorry for any confusion. I will contact you to set up delivery of your documents. Thank you.